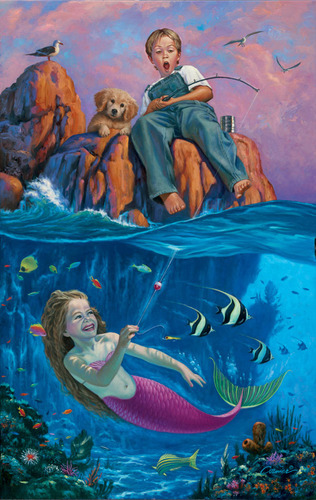 Mermaids of Atlantis has been brought to life by internationally acclaimed artist Wil Cormier. These mermaid prints take you on a breathtaking underwater journey amidst these fascinating monarchs of the deep. It is an astonishing original series of mermaid art that will stir your imagination and actually bring this mythological undersea world to reality. While the "originals" cost thousands of dollars, these signed open edition prints can be purchased for a fraction of the cost.